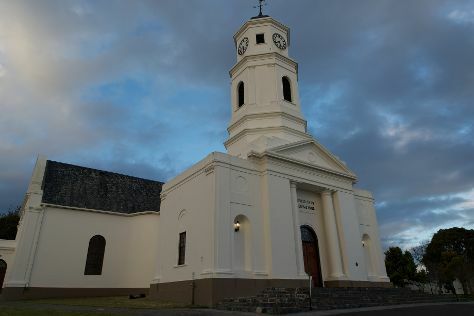 Popular historic sites such as Dutch Reformed Mother Church and Montagu Pass Old Toll House are in your itinerary. Get outdoors at Wilderness Beach and Parasailing & Paragliding. Change things up with these side-trips from Wilderness: Mossel Bay (Cape St Blaize Lighthouse & St. Blaize Trail). Spend the 23rd (Thu) exploring nature at Wilderness National Park. And it doesn't end there: see the interesting displays at Outeniqua Transport Museum, take some stellar pictures from Dolphin Point Lookout, take in the architecture and atmosphere at St Mark's Cathedral, and view the masterpieces at Cape Palette Art Gallery. To find maps and other tourist information, refer to the Wilderness sightseeing planner. Singapore, Singapore to Wilderness is an approximately 21-hour flight. The time zone changes from Singapore Time to South Africa Standard Time, which is usually a -6 hour difference. When traveling from Singapore in November, plan for slightly colder days and colder nights in Wilderness: temperatures range from 24°C by day to 14°C at night. Wrap up your sightseeing on the 28th (Tue) to allow time to drive to Plettenberg Bay. You'll discover tucked-away gems like Lawnwood Snake Sanctuary and Garden of Eden. Get some cultural insight at Holy Trinity Church and Jandreart Studio. Explore the numerous day-trip ideas around Plettenberg Bay: Tsitsikamma National Park (in Tsitsikamma National Park) and Knysna (Simola Golf, Garden Route (Tsitsikamma, Knysna, Wilderness) National Park, & more). There's much more to do: look for all kinds of wild species at Radical Raptors, browse the fresh offerings at Elephant Walk Farm Stall, take in the architecture and atmosphere at St Peters Anglican Church, and contemplate the long history of Nelson Bay Cave. For other places to visit, more things to do, reviews, and other tourist information, refer to the Plettenberg Bay travel planner. Traveling by car from Wilderness to Plettenberg Bay takes 1.5 hours. Alternatively, you can take a bus. 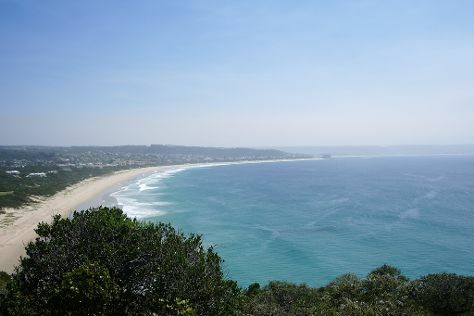 November in Plettenberg Bay sees daily highs of 24°C and lows of 16°C at night. Finish up your sightseeing early on the 5th (Tue) so you can go by car to Oudtshoorn. Take a break from the city and head to Wilgewandel Holiday Farm and De Zeekoe Farm. Step off the beaten path and head to Karusa Vineyards and C.P Nel Museum. Next up on the itinerary: contemplate the long history of Arbeidsgenot, identify plant and animal life at Meerkat Magic, get your game on at Buffelsdrift Game Lodge - Activities, and experience rural life at Highgate Ostrich Show Farm. To see photos, where to stay, maps, and tourist information, use the Oudtshoorn trip generator. Traveling by car from Plettenberg Bay to Oudtshoorn takes 2.5 hours. Alternatively, you can take a bus. Finish up your sightseeing early on the 8th (Fri) so you can travel back home.